One Londonderry company has been working with construction crews, residents and businesses for the last twenty years. From pre-construction site investigations to cleanup services long after a spill, EnviroSense has been providing quality environmental services since 1992. 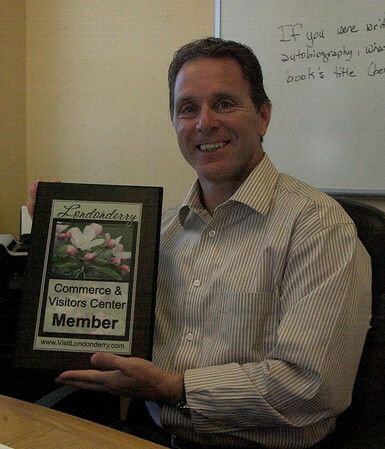 Owner Russ Lagueux joined the company in 1998 and became a partner shortly after in 2000. Eight years later, he became the sole owner. EnviroSense’s staff has many different licenses which allows them to work in different states and under different conditions. The company’s main operation is to provide environmental consulting like hazardous waste site investigations, remedial design and clean up of contaminated properties, site assessments for brownfields redevelopment, and more. EnviroSense works with commercial construction to have an environmental site assessment prior to development; they also work with air quality concerns and cleaning up asbestos. “If a tanker truck turns over on the highway, insurance companies will get us involved for cleanup and to make sure gas does not get into the water table,” explained Lagueux. “Most commercial corporations have insurance included and are all set, but most homeowners do not think of environmental policies. 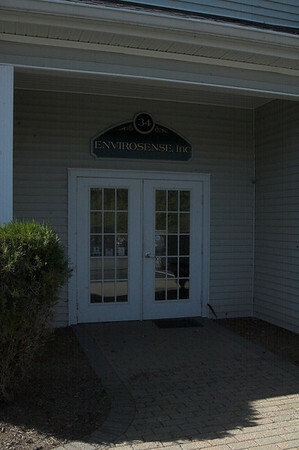 Newly launched in August of 2012, EnviroSense also provides Environmental Health and Safety (EHS) services. Through a connection with two new partners, the company can now go into a large office and do a health and safety audit to benefit the quality of work for employees. EnviroSense can check for safe conditions, updated permit requirements, safety training standards, and take risk assessments. “Historically, people didn’t like to see us coming because they had a problem that they wish they didn’t have. With the new service area, we can be helping you down the line, making sure that you don’t’ have a potential problem,” said Lagueux. With the new services, EnviroSense can now work the companies to ensure they meet OSHA requirements. New laws are going to require businesses worldwide to meet new levels; EnviroSense can help companies stay within compliance by reminding them to stay current on paperwork and deadlines so they are not fined. Recently, EnviroSense was awarded a federal GSA contract that puts the company on an approved vendors list. This allows any government agency looking for specific services to contact EnviroSense and have them bid on a project. Because of the unique and different talents on staff at EnviroSense, the company has also been hired by companies nationwide to give testimony in lawsuit cases. To learn more about EnviroSense, click here. Contact them at (603) 437-8227.